Formulated for All Skin Types including sensitive skin. Unscented! 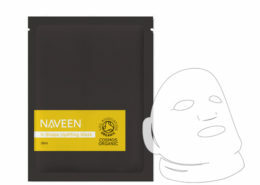 Ideal for hydrating, soothing and calming the dry or sensitive skin. A relaxing yet intensive at home treatment to revive dull, tired looking skin or before a big event. Not only does it deeply hydrates, replenishes, and protects your skin’s own moisture but beneficial to the farmers, workers and the entire wildlife eco-systems too. 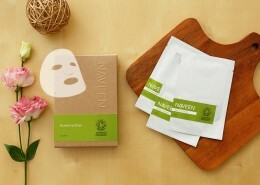 Each ethically made Organic-certified Cotton Sheet Mask contains uniquely NAVEEN comforting complex derived from botanical extracts-including Organic Rose Damascene Flower and Organic Chamomile Water, Organic Aloe Vera and Sodium Hyaluronate (Hyaluronic Acid)-provides instant cooling moisturization with anti-inflammatory and antioxidants properties to calm and soothe. 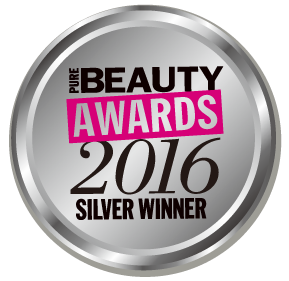 Revive and relax the skin for an immediate, invigorated glow and photo-ready finish. 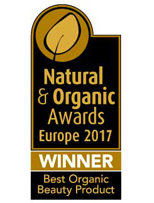 Organic Rose Damascene Water – Anti-inflammatory and balancing. Containing a complex array of vitamins, minerals, and antioxidants, Rose Damascene has excellent emollient properties for moisturizing dry skin; it also offers antiseptic and astringent properties to treat acneic prone skin, as well as anti-inflammatory properties to calm redness and inflammation. Organic Chamomile Flower Water – Best known for its ability to calm and ease with a fruity floral aroma. The extract distilled from Chamomile possess soothing, healing and anti-inflammatory properties. Organic Aloe Vera Extract – Anti-inflammatory and stimulates growth of new cells. Aloe Vera is full of antioxidants that help fight signs of aging, allergic reactions and reduce redness. Sodium Hyaluronate – The sodium salt of Hyaluronic Acid. It is used as a moisturizing agent. It forms a transparent film on the skin which has a soothing and lubricating action. It is a powerful humectant as it is capable of binding 1,800 times its own weight in water. COSMOS approved, protect your skin the non-GMO way. Sea Salt- Born from warm Gulf Stream, rich in sea minerals and oligeoelements. It acts as a marine nutritive reservoir and anti-inflammatory which restores normal skin equilibrium, soothes and relaxes the skin while revitalizing the skin due to a high mineral content. 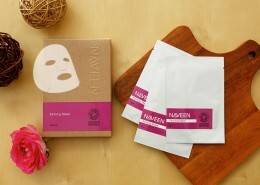 Cleanse your face, take out the mask and unfold the whole cotton sheet. 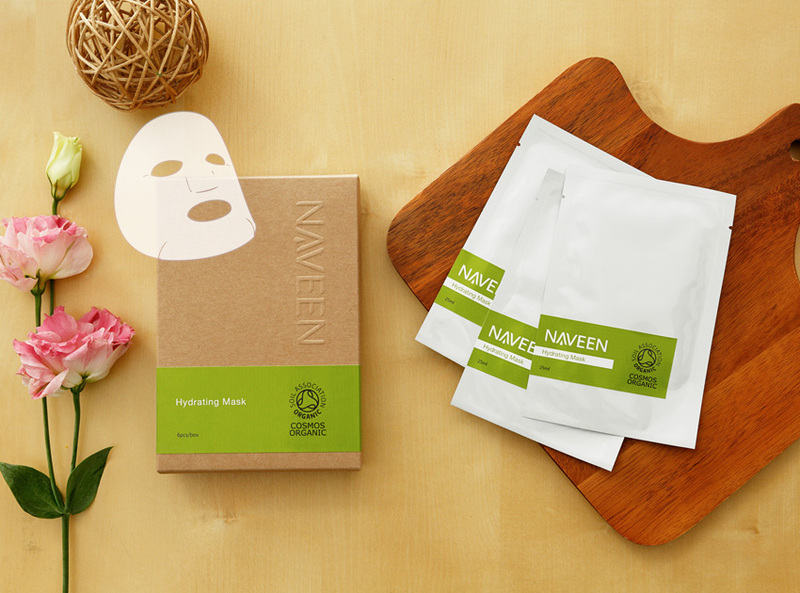 Apply the mask sheet to your face and leave it on for 15 minutes. Remove the mask and lightly pat your face to dry. Discard the mask sheet. Followed by your skincare routine.